The kids had dentist appointments today. They both did GREAT! It was Little Guy's first time to sit in the chair. He had gone with us last month for my appointment, but somehow he didn't get on our insurance last year, so he had to wait till now. "Open your mouth wide like an alligator!" He followed all their directions and was overall so compliant! And he regaled the dentist and hygienist with sophisticated little conversations about ages and birthdays and pets and how he was not crying at the dentist. QUITE the little charmer! Poor Miss M had to have fillings today. She also did wonderfully! 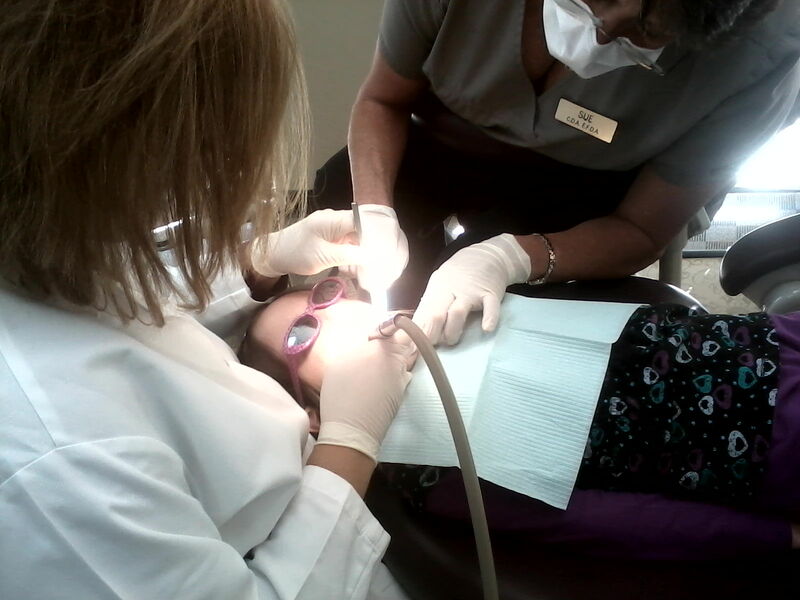 She went off all by herself with Hygienist Sue and got all prepped. They're so good with kids! They told her all about what was going to happen, step by step, and demonstrated for her on her hand. (I love it when adults treat kids with respect and speak to them as intelligent beings!) I popped over and checked on her a couple times (she was just two stations over from Little Guy) and told her that if she wanted me to come hold my hand, she just had to tell them and I'd come. So when it was time for her to get a little shot of anesthetic, I came and held one hand and Sue held the other. She's such a little trooper! Afterward she said the worst thing wasn't the shot or the numbness wearing off, it was that afterward she couldn't eat when she wanted and had to wait! They're both going back later this month for the rest of their cavities...poor children, cursed with Hubby's and my genetically bad teeth! Because, seriously, I don't let them eat candy, they don't drink much juice, and they do brush their teeth (and/or have their teeth brushed by Hubby or me)! Can you tell I'm trying not to feel too badly about my parenting skills? 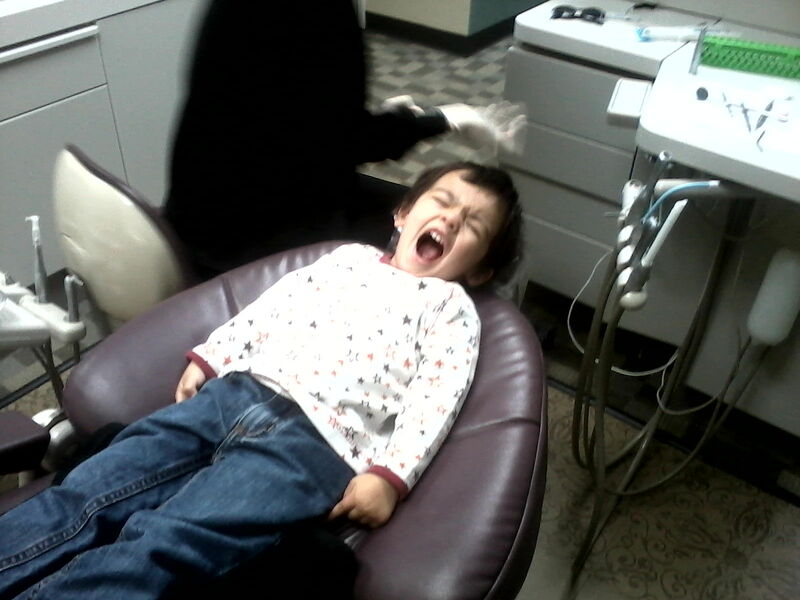 How have your kids fared at the dentist? I like how your young man did so well at the dentist :)! I saw you linked up your site on the Deep Roots at Home page, and I am so glad to ‘see’ you there. I love what you are doing here on your blog ~ It is so much fun and encouraging to get to ‘know’ new like-minded gals! BTW, I would like to invite you to consider linking-up on the Deep Roots at Home ‘EOA’ Wednesday Link-Up if there is a fit. You can gain more exposure and it would be neat to see you as a regular each week.